The Manufacturers Association of Nigeria (MAN) on Friday decried the “very low” performance of the industrial sector in the second quarter of the year. 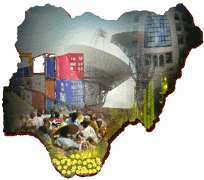 The Director of MAN Liaison Office in Abuja, Mr. Asibong Ene-Obong, told the News Agency of Nigeria that the low performance was due to the poor state of infrastructure in the country, especially power. “We have told government that power is the basic infrastructure for industries, followed by finance,'' he said. Ene-Obong said the bane of industrial production was the additional cost caused by the infrastructural deficiency. He also attributed the problem of the industrial sector to the unwillingness of most banks to finance the real sector. “It is our view that interest rate currently pegged at 10 per cent is still too high, and should not be more than seven per cent. But which bank is even willing to give this? “The banks should be made to realise that they should focus on the real sector, rather than on traders,'' he added. Ene-Obong, who is retiring at the end of the month, also said that raw materials' sourcing for production was another major challenge for operators. He said: “We are sending our primary products abroad for processing, and they will send them back to us to buy. The director, however, urged the government to always carry the private sector along, in formulating policies that affect the sector. NAN reports that recently, the Apapa Branch of MAN decried the spate of industrial closures and relocation of some companies to neighbouring countries.